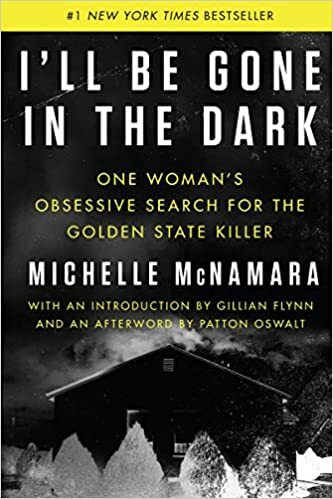 I’ll Be Gone in the Dark: One Woman’s Obsessive Search for the Golden State Killer – loudlatinlaughing – Euge! Euge! I’m not one for true crime books but Michelle McNamara’s work was exceptionally well-written, meticulously detailed, and powerful. It’s also a bit eerie to consume alongside real world news of his arrest (Joseph James DeAngelo, former police officer who’s now 72 years old) this April near Sacramento. He tallied over 10 murders and nearly 50 rapes, leaving communities across California terrified in the 1970s and 1980s. He left DNA at the crime scenes, but went underground for decades until his DNA matched one of his relatives who was innocently searching for his own ancestry via one of the ubiquitous sites that now tells you in minute details everything you’d want to know about your heritage. I hope they got him.